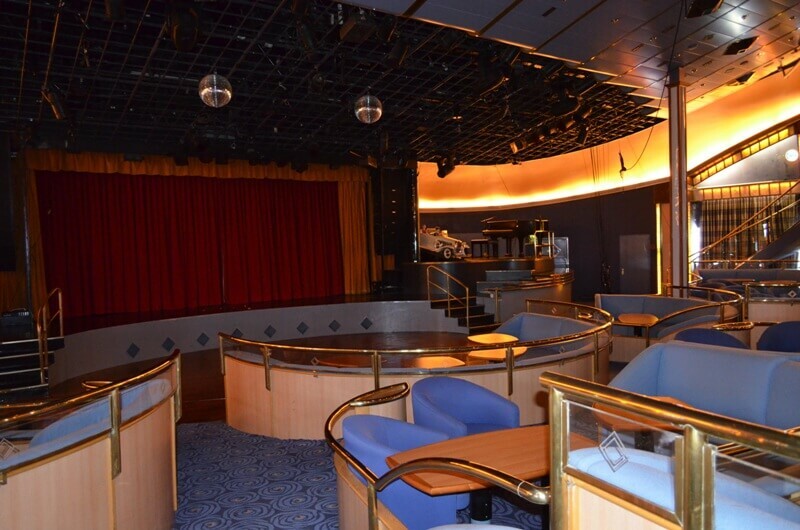 This review has three parts and I hope you read it all as it ends with details about US clients being able to take Cuba cruises starting this December and ending April 7, 2016. 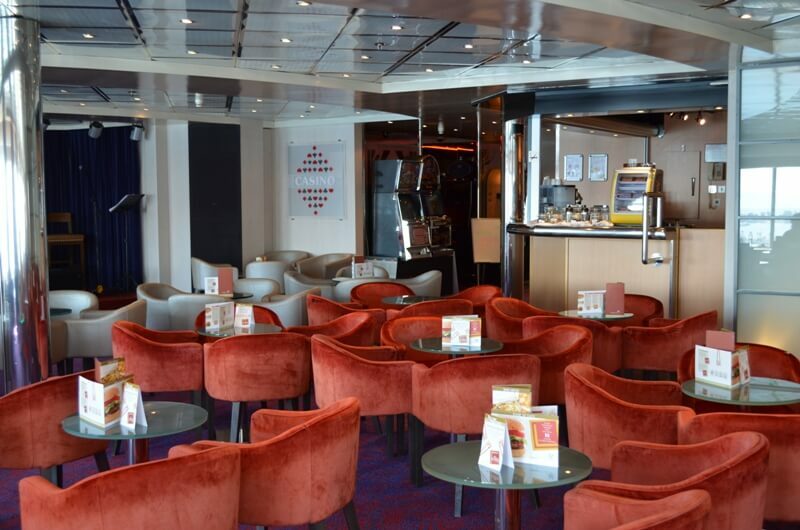 For the first time we can offer your clients a legal option to cruise Cuba before the island is turned into another American Shopping Mall with McDonalds and Starbucks. As one might imagine being located in South Florida we have always been tuned into what is happening in Cuba and tourism and particularly cruises. Over the years many companies have tried it but the US laws and other factors have made the attempts failures. We have watched for several years a stronger company enter the market and refine their product to the point that we now feel confident in offering it to our incentive clients legally. 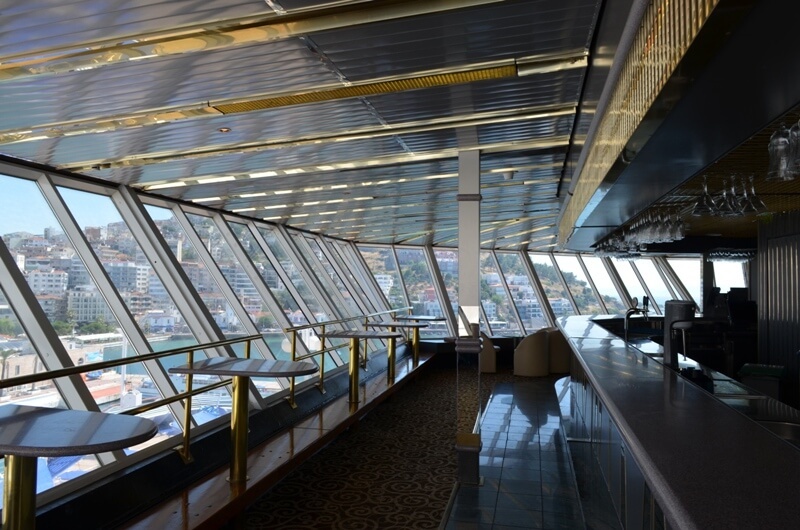 After numerous discussions with the cruise line, Celestyal Cruises, about the Cuba project we felt it was time for us to go see firsthand the ship and the total product. 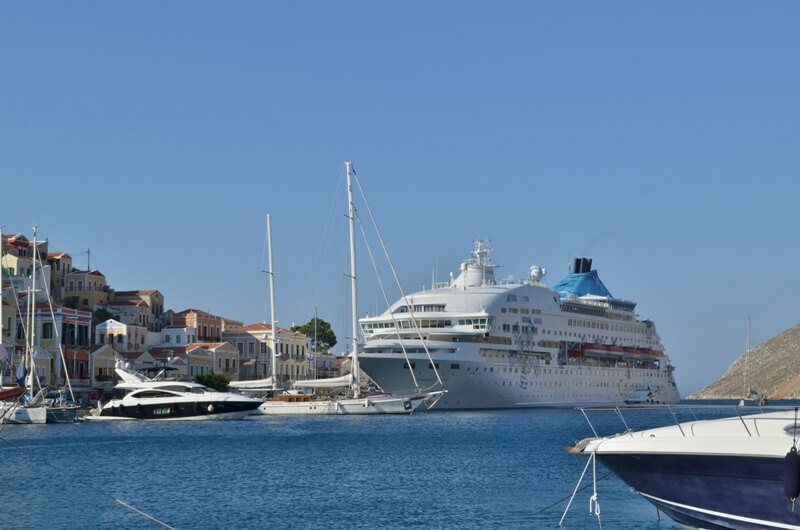 So Diana and I set out to take a Greek Island cruise, the summer destination for the Crystal, this June. 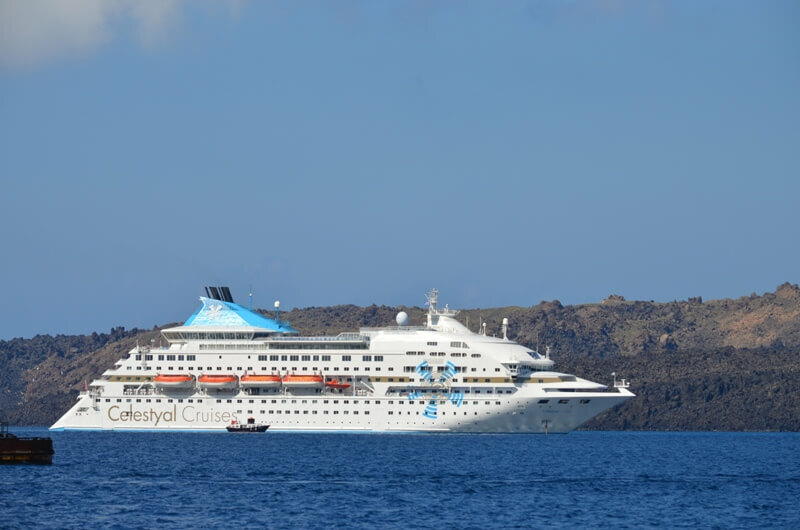 Honestly it was big time Deja Vu as the Celestyal Crystal in it’s former life was NCL’s Leeward which we had numerous groups and charters on in years gone by. 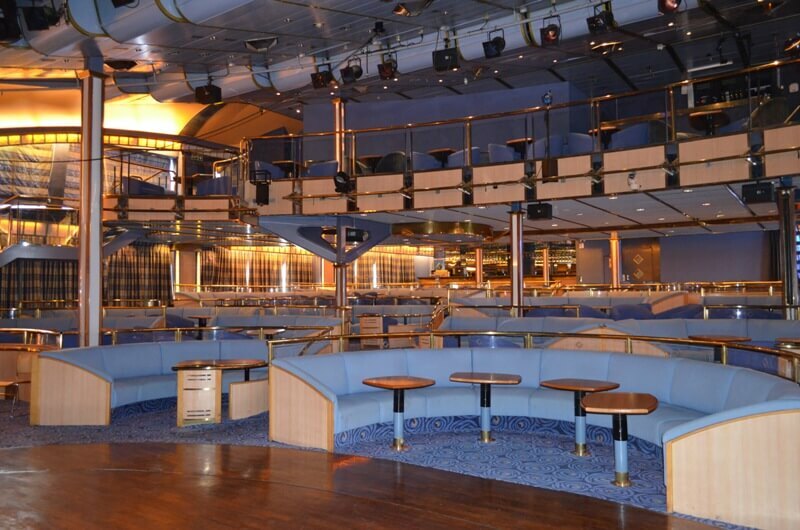 This ship was the Bee’s Knees for the 3 and 4 night incentive market in the late 90’s and early 2000’s out of Miami. 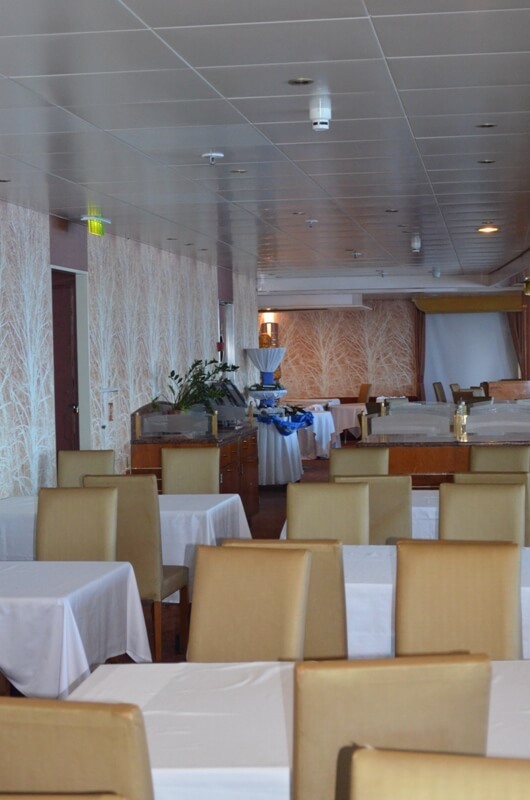 First impressions, as we all know, are most important and the Crystal really looked small, as it should do with only 480 staterooms, when we saw it docked in Istanbul, sitting next to Holland America, Celebrity and Princess with cabin counts of over 1,200 each. As with any fine “Lady” you can tell a lot about her by her “skin” and I am happy to say the small Crystal had the best “skin” of the lot. This means she had been sand blasted down to the steel, repainted and looked factory fresh which can’t be said of the other big girls. The issue of big and small will become very important as we continue. 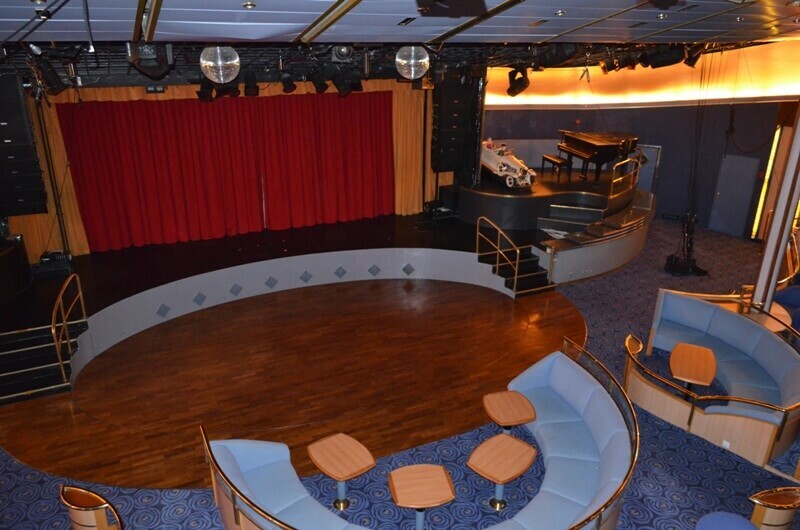 After being taken to our cabin, which is the category we recommend you book your groups into, we set off to explore the ship and see the changes since the NCL days. 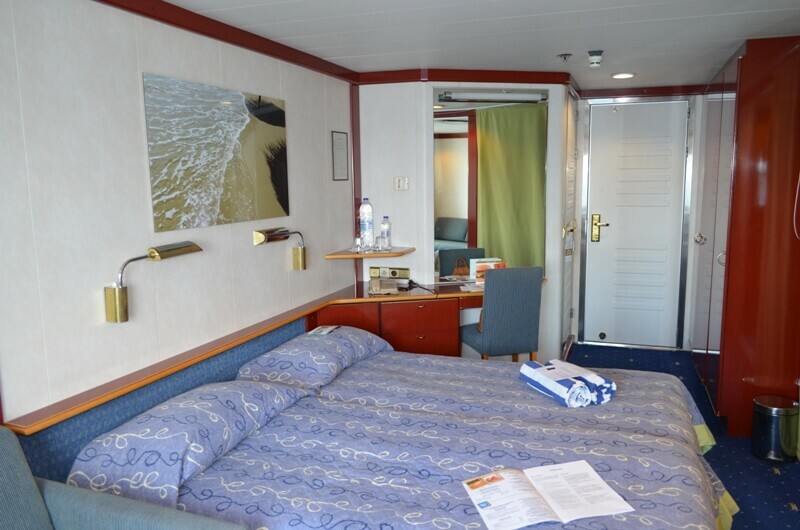 The first thing you have to notice is how clean and tidy the ship is. 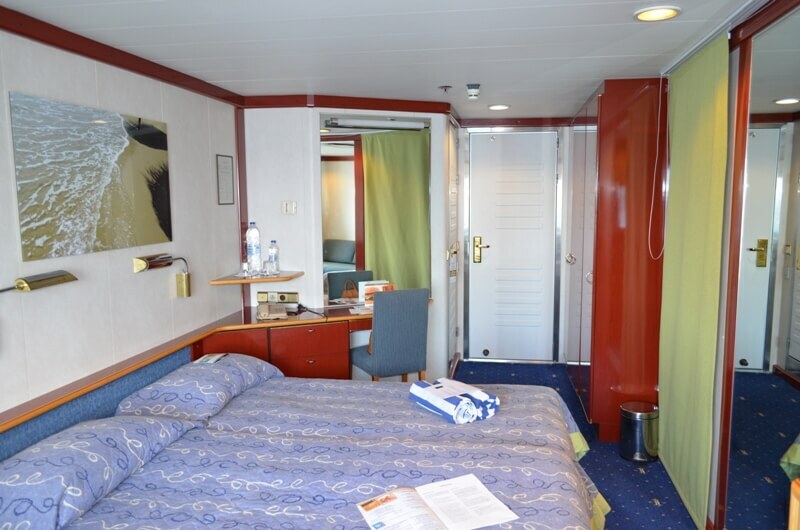 The carpeting looks like it is new, there are no luggage dings and dints in cabin hallways, tables and chairs also look like they’re brand new, the decks are all in great condition, the exterior varnish is perfect and all in all the ship looks like she is darn near brand new. 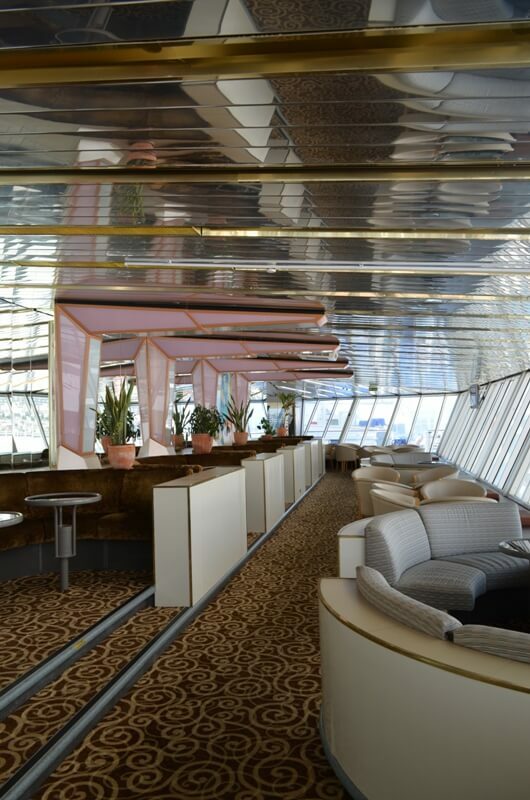 The ship still has a few touches of the old NCL days but most are gone due to a new contemporary interior. If you look on deck you can’t help but notice an old NCL trade mark for this ship, I will let you old timers wonder what they could be. 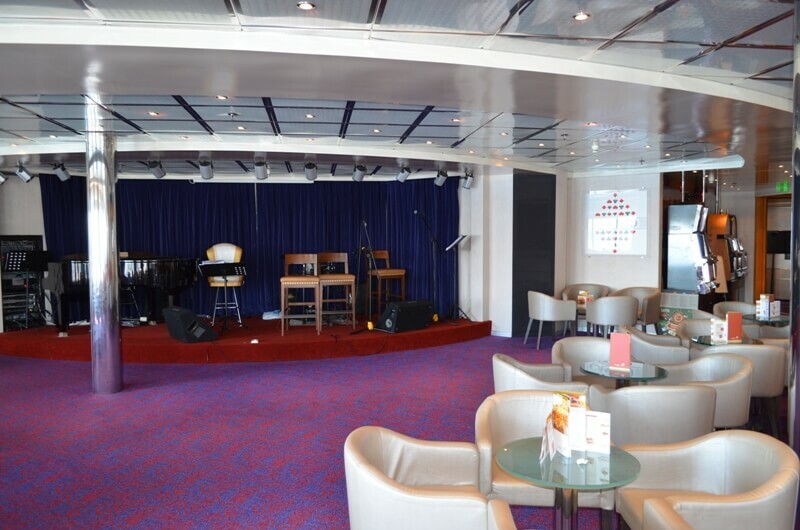 Keep in mind this is an older ship so for sure she is not a 5 Star vessel but I would give her an honest 4 star rating when you consider the entire package. 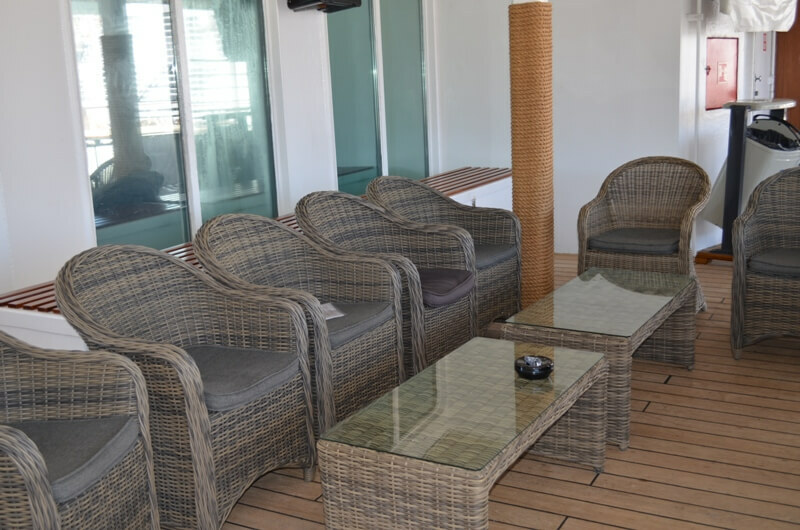 The cabins are around 200 sq ft in the categories we will recommend, with a comfortable sitting area with sofa and arm chair and plenty of closet space. Good hair dryers, safes, mini fridges (not stocked), a large picture window, TVs with a good channel selection, and individual a/c controls. 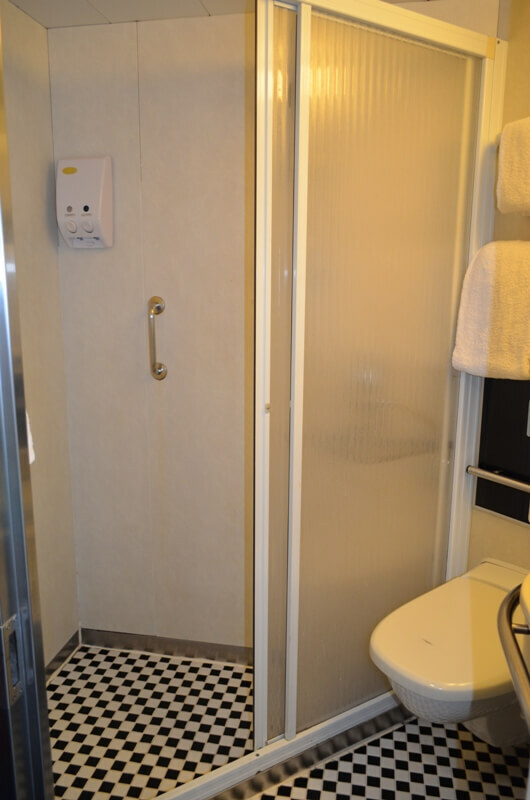 Bathrooms are a bit small but the showers do have a nice glass door versus the vinyl shower curtains some ships still have today. Bathroom amenities by Olivia, Greece’s oldest pure olive oil body and hair care manufacturer. Your bathroom also has 2 fluffy terry robes hanging on the door for you. 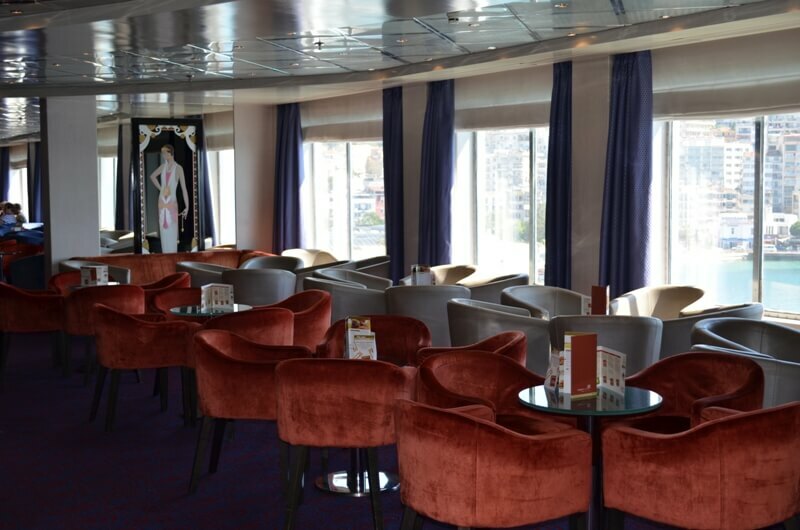 The ship only has 9 balcony suites for your VIPS. 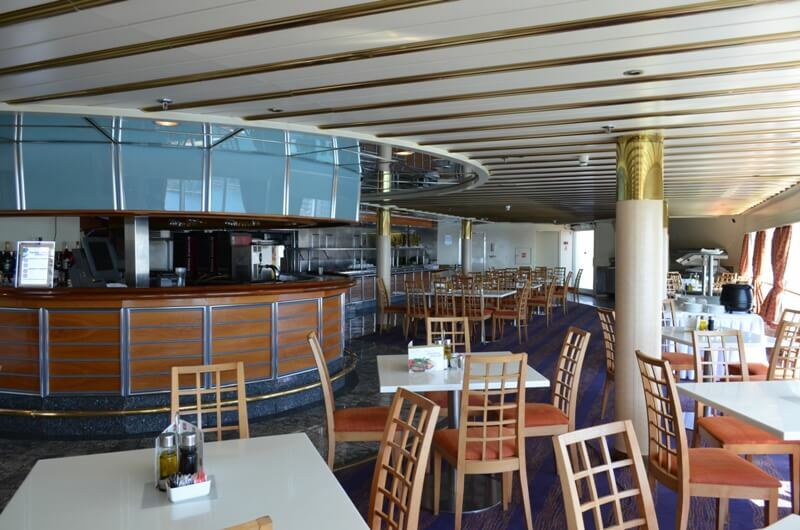 Dining on our cruise was a delight as the ship really features Greek cuisine when doing the Greek Island cruises, and will feature Cuban cuisine while in Cuba. The food was great, interesting if you wanted to explore Greek food more than you get at home, well presented at breakfast, lunch and dinner with very friendly and efficient service. 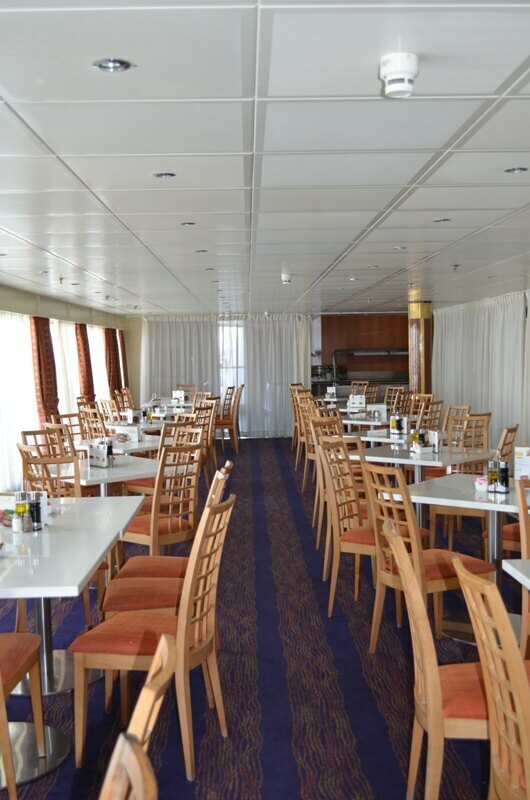 You have a main dining room with first and second sittings but you can chose which sitting you wish daily, meaning it’s not fixed sittings for dinner. 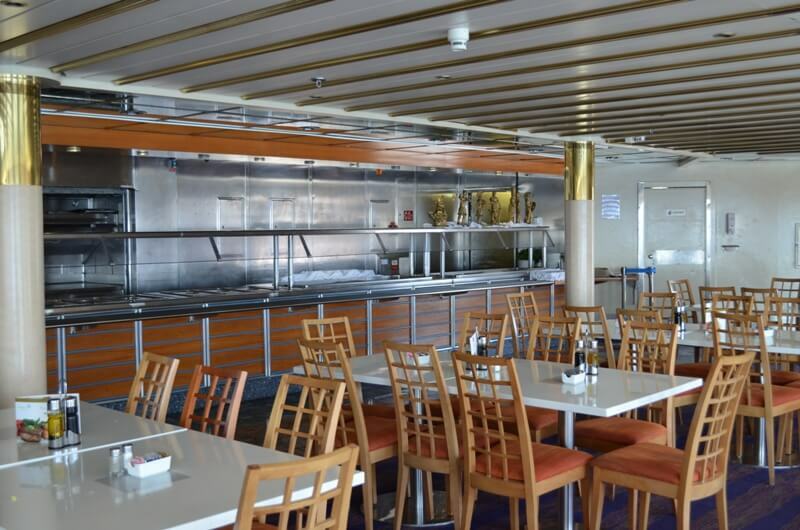 Of course there is a buffet which also offers breakfast, lunch and dinner as well as pool side dining which is very popular considering how active this cruise is. 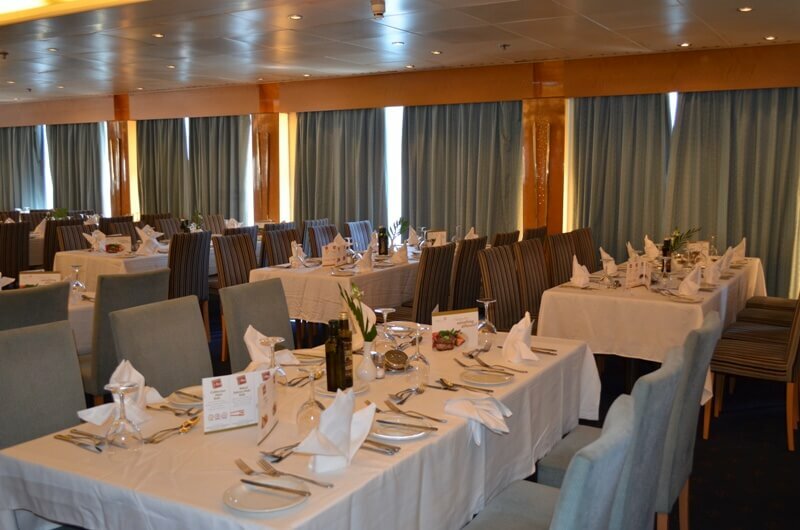 I would personally rate the food a step up from many mass market cruise lines and more interesting than most. 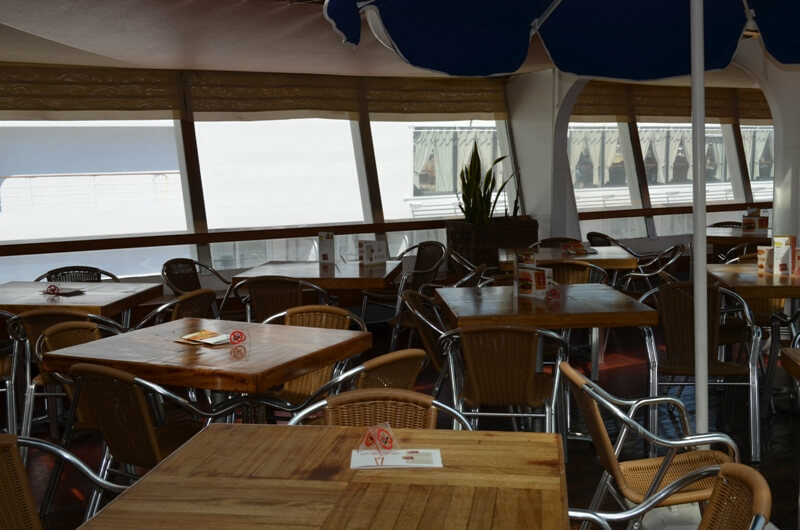 One difference you will notice is that they offer a small “a la carte” menu at every meal in every venue, offering items such as steak and lobster, whole grilled fish, grilled shrimp and other such items all for an additional charge. 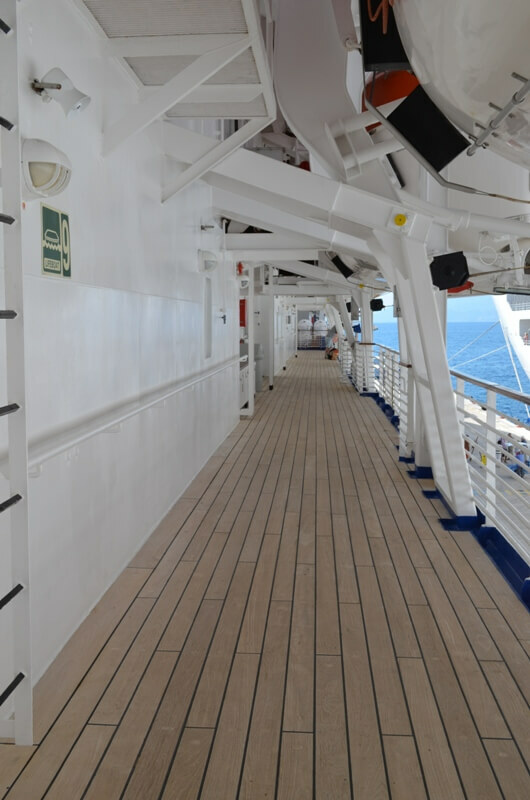 Language on ships that carry multi-national passengers can be a bit of a pain as some of us have found out from past experiences. I am happy to report Celestyal Cruises has found a unique way to handle this challenge. 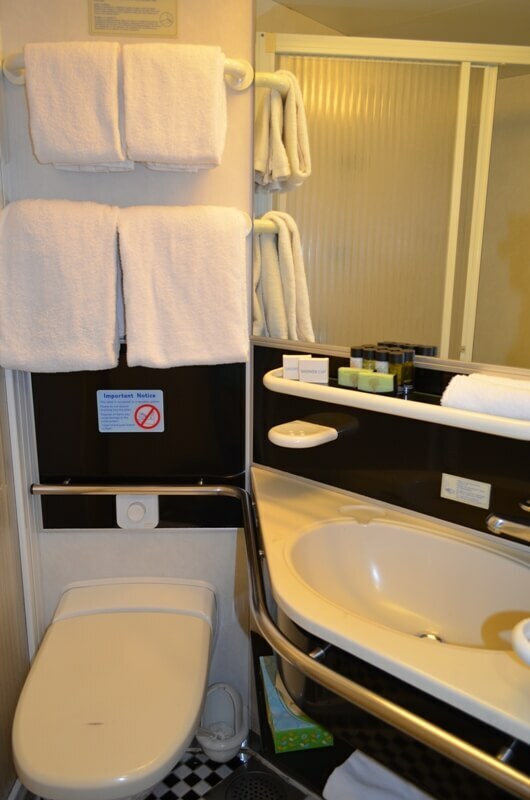 All of your cabin information and daily programs come to you in your language, in our case English of course. What you quickly find out is that when we go to an activity there are only English speakers, (this doesn’t apply to nightly entertainment), while the Germans, Italians etc are at another location doing the same thing or at a later time in your “English” location. Tours are done only with people of the same language, and they all come nicely with “whispers” so you can fully hear your guides no matter how far back you are in the group. Dining takes you to tables of, again, the same language. 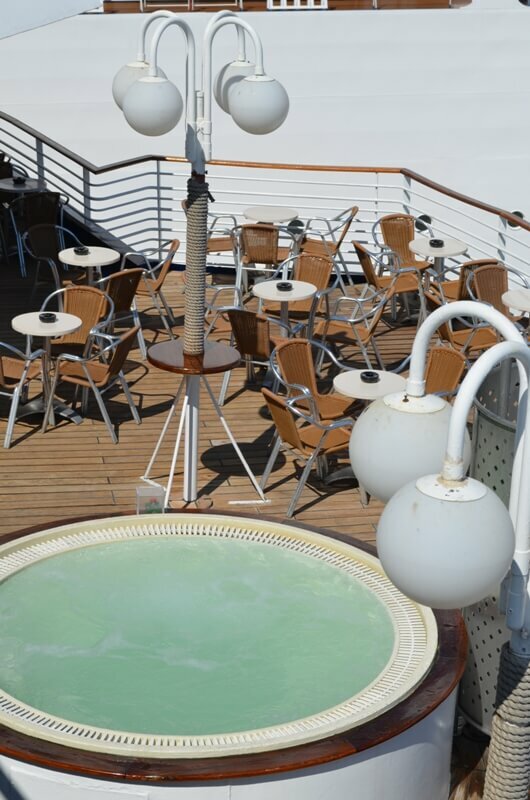 If you want to you could be surrounded by English speakers the entire cruise which would take the fun out of international travel. Last but not least loud speaker announcements are very few and only on arrival in port, and announcing tour departures. 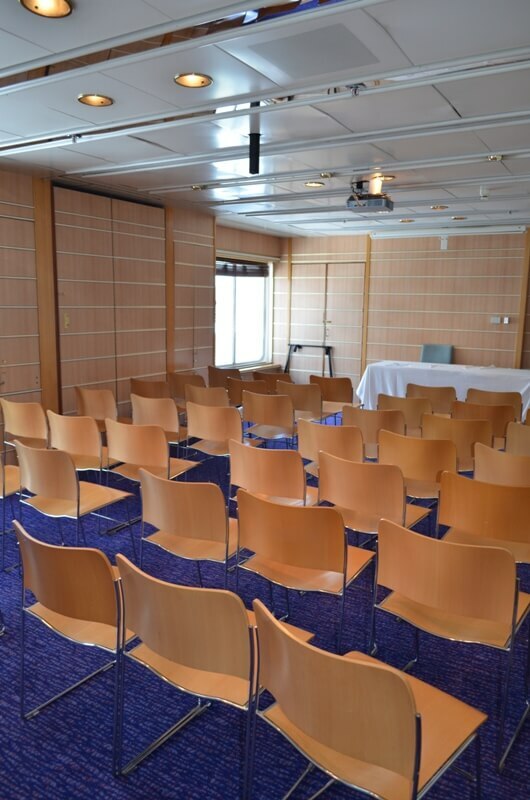 In summary the ship is in great condition. 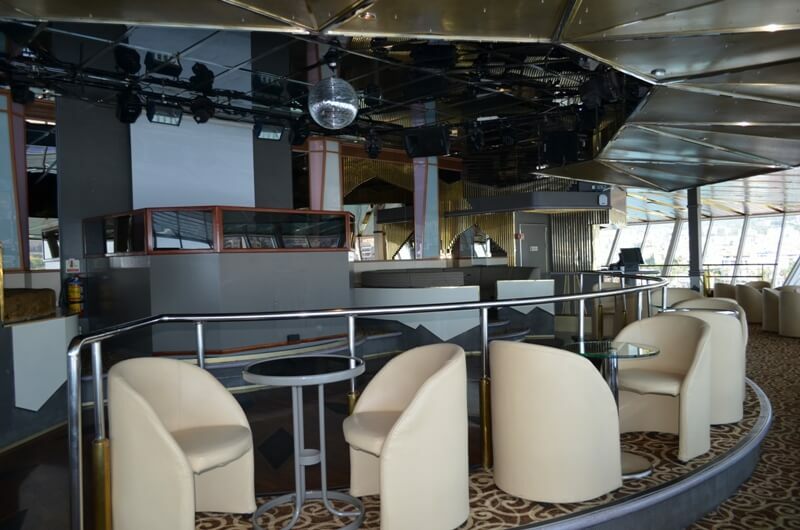 It offers a casino, duty free shopping, retractable main pool area cover with pool bar and dining, aft deck bar with Jacuzzi which is very popular, main dining room, buffet dining, private meeting rooms/conference center, main show lounge, Panoramic cocktail lounge, piano bar, wellness center and gym. 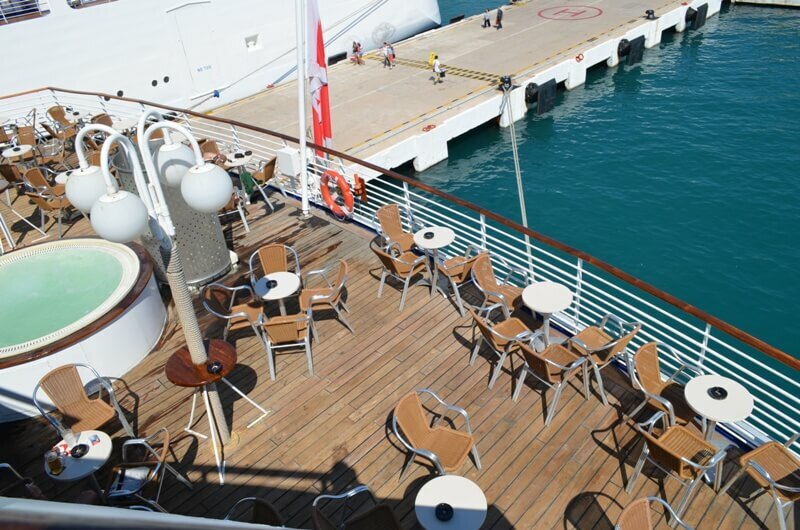 Crew is multi-national with Greek Captain, Italian Hotel Mgr., Austrian Housekeeping Mgr., etc, with an interesting twist (and this is fleet wide for the company) they have some Cuban stewardesses, Cuban bar staff and fantastic Cuban musicians. Our Cuban stewardess was fantastic and the musicians are really great. 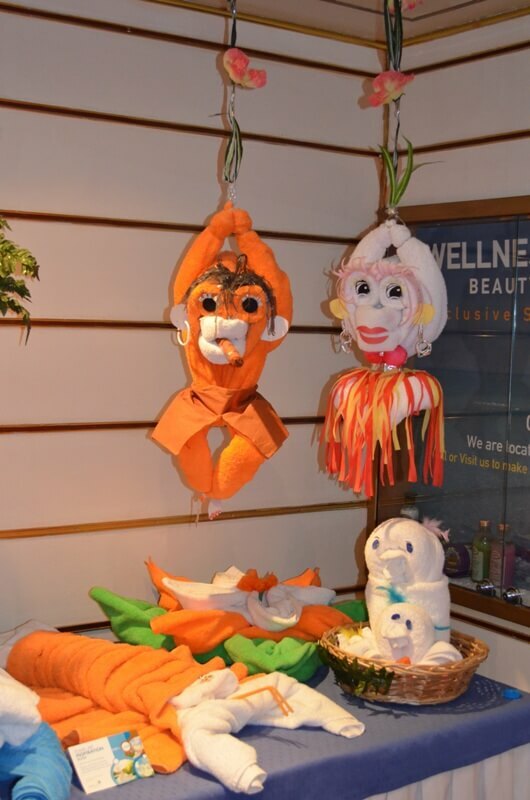 I think the company has found a new source of crew staff that most cruise lines can’t tap into. 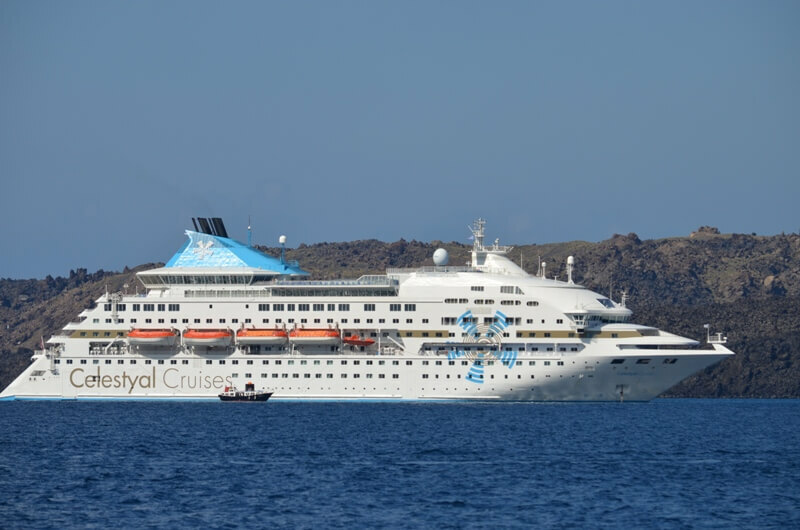 As mentioned earlier we really went with an eye to look at the ship for Cuba cruises, however the ship and the itinerary really changed our mind into offering the ship for 4 and 7 night Greek Cruises as well. Why? 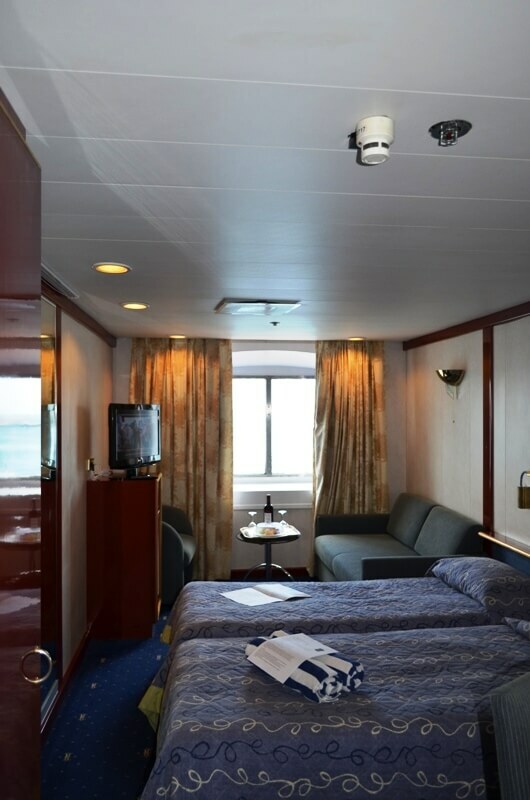 As mentioned above the ship is perfectly fine and the size is ideal for both Cuba and Greece. 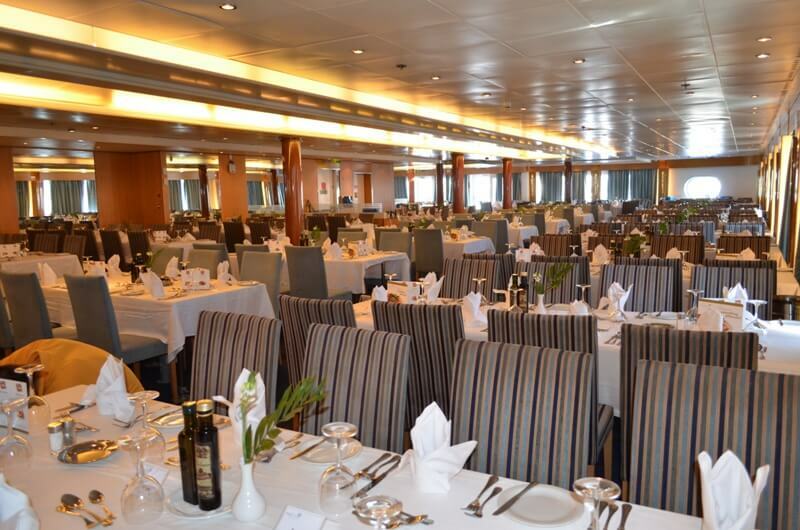 Attached are photos of both the ship and some of the ports to give you an idea. 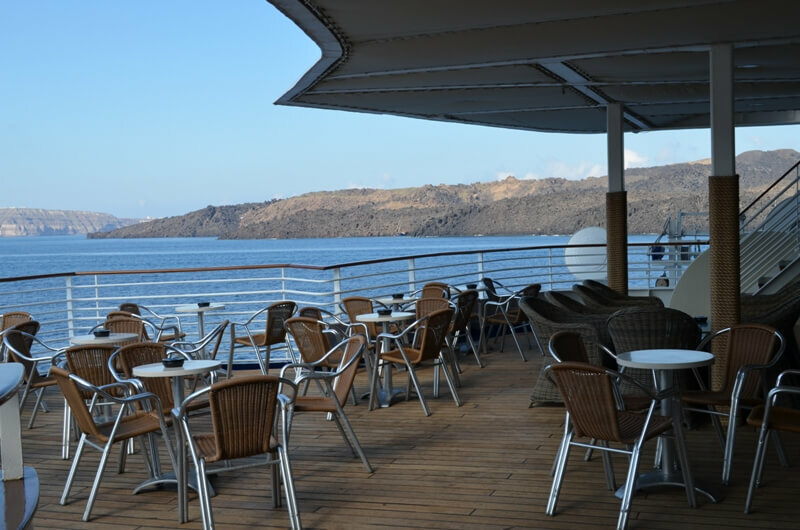 We went to islands we had never been to before that are terrific, and I can honestly now say that I was in Santorini when we were the only cruise ship there – this has never ever happened to me before, and I will now go back to Santorini again. 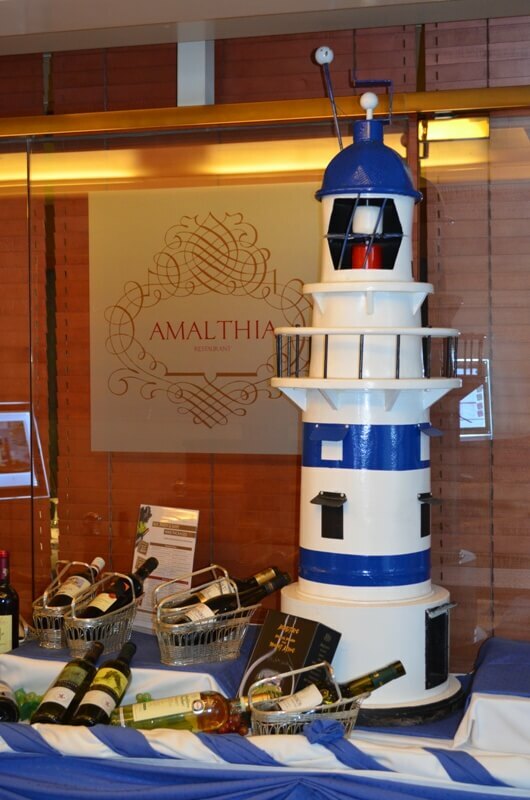 We only saw big ships on embarkation and in Rhodes. Often going to two ports a day might sound tiring or rushed, but it was neither. 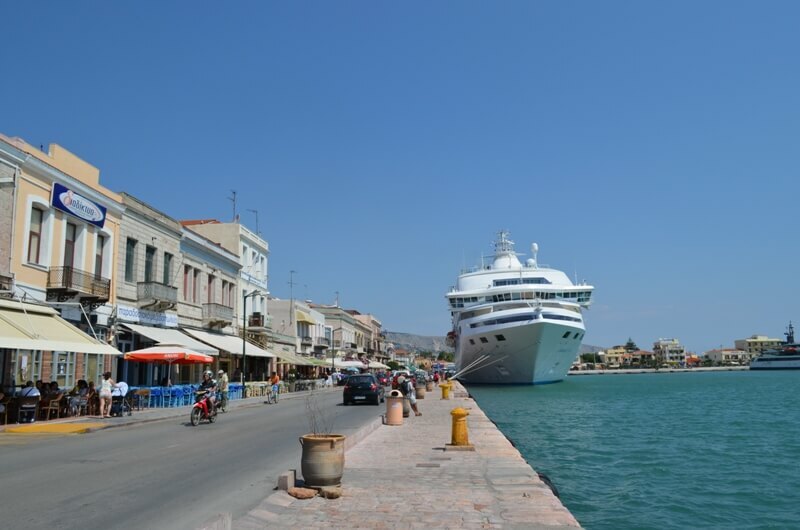 The 7 night itinerary is Lavrion (new port for Athens quick to get to/from airport versus Pireaus), Istanbul, Kusadasi, Crete at the port of AG Nikolaos (we were the only ship in this quaint port but at 4 pm as we are getting ready to leave 27 buses from Heraklion, the main Crete port come roaring in), Rhodes and Symi, Chios and Mykonos, Lavrion. 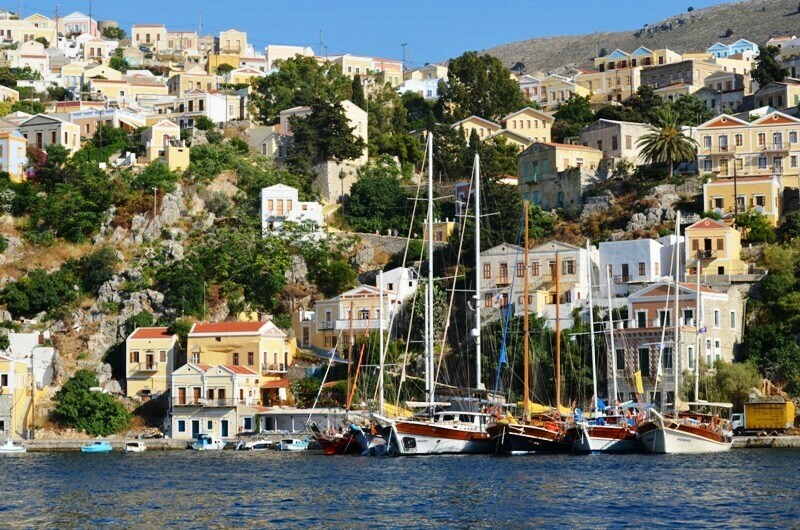 Ports like Symi, Ag Nikolaos and Chios are true gems that the big ships can’t go to, thankfully. 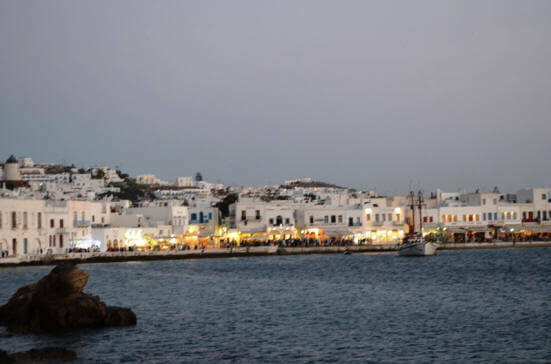 Of course we all have been to Mykonos but I have never arrived at 5:30 pm and left at midnight which allowed time for some shopping and a great dinner ashore. 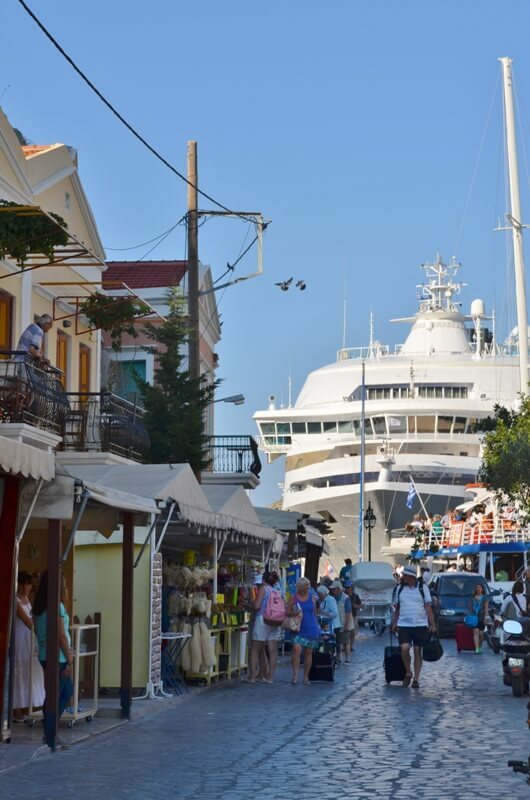 At Symi we arrive at 4:30 pm just as the Mega Yachts were arriving for cocktails and dinner ashore. 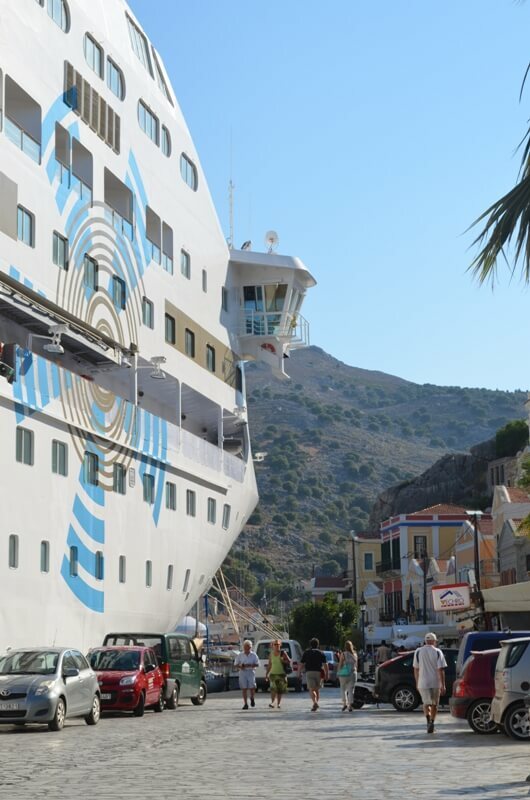 They were very surprised to see a small cruise ship tied just up like them right in the heart of the action. 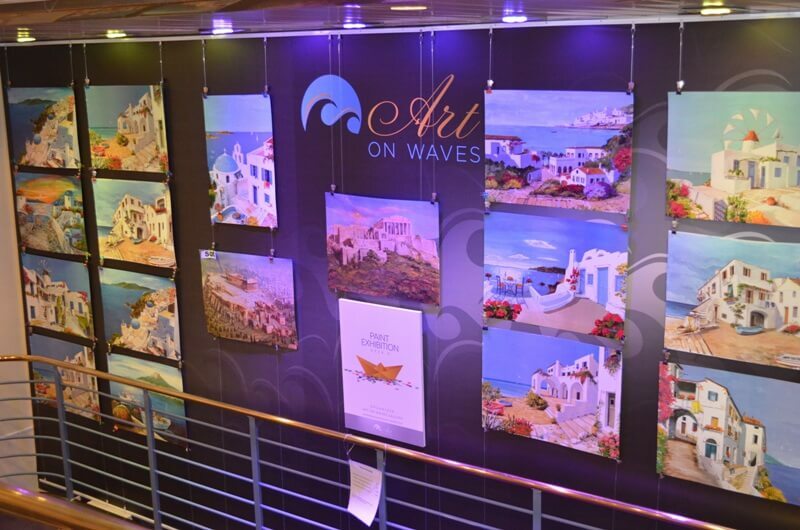 This cruise really had many more memories than most Greek Island cruises we have ever been on. 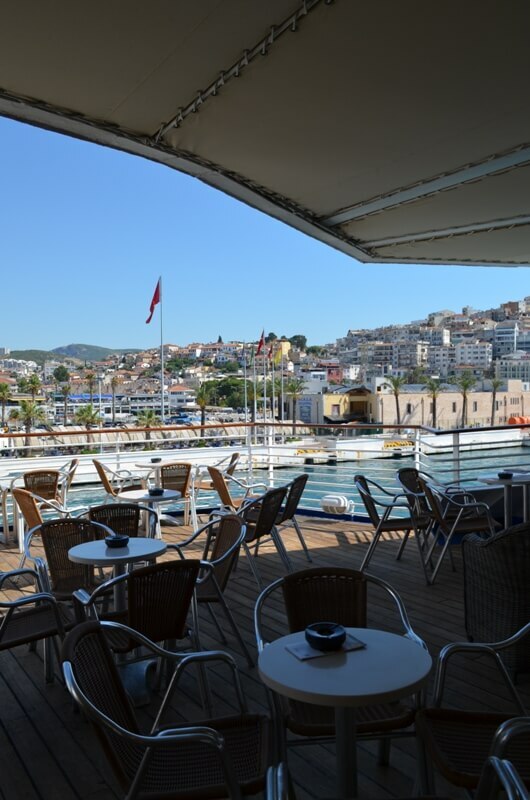 The company also offers 4 night cruises that are Athens-Mykonos, Kusadasi-Patmos, Rhodes, Heraklion-Santorini, Athens OR Lavrion-Syros, Cesme, Kos, Ios-Santorini, Piraeus. 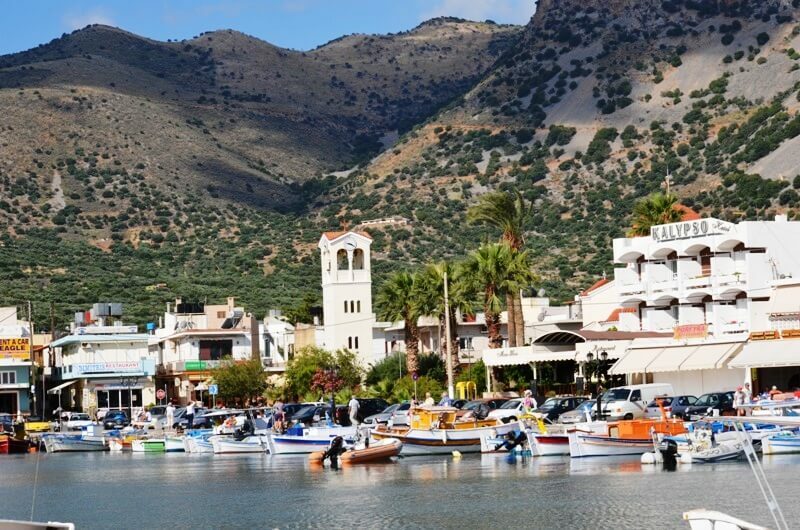 Both of these are great options coupled with a pre night stay in Athens which is a necessity, and offers a very reasonable 6 night incentive package which includes air travel time. 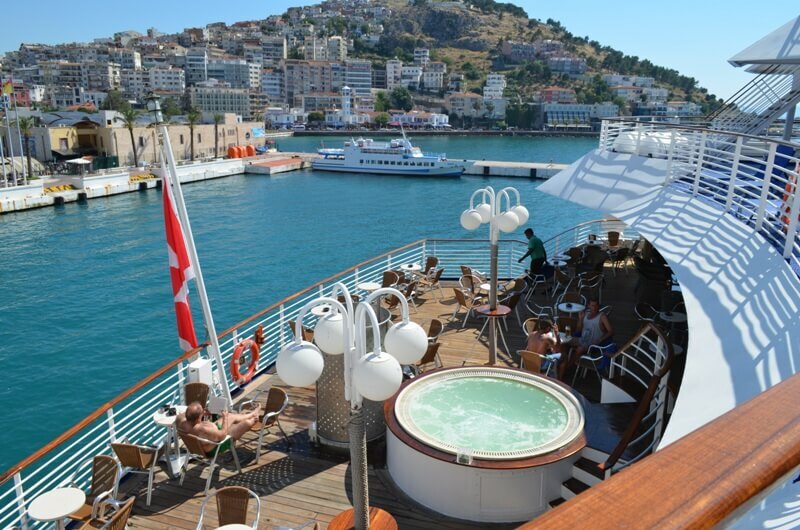 I would highly recommend any of these cruises to really see and enjoy Greece like most others will never see, honestly. One other very nice thing, tours don’t seem to exceed around $50.00 which is pleasant surprise in Europe these days. Needless to say here in the USA all the talk is about going to Cuba. Well it’s about time since Cuba is the second largest tourist destination in the Caribbean after the DR. The rest of the World has been going to Cuba for years however our international clients and partners have been saying it’s not quite ready for the incentive groups yet by land. 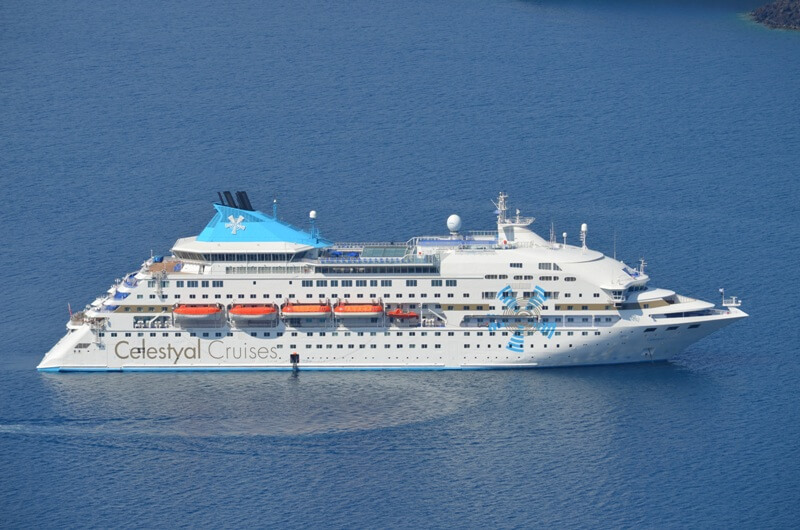 Well I would like to say that Celestyal Cruises and the Celestyal Crystal have already completed two seasons in Cuba and will start their third season this December and will end the season in April 2016. 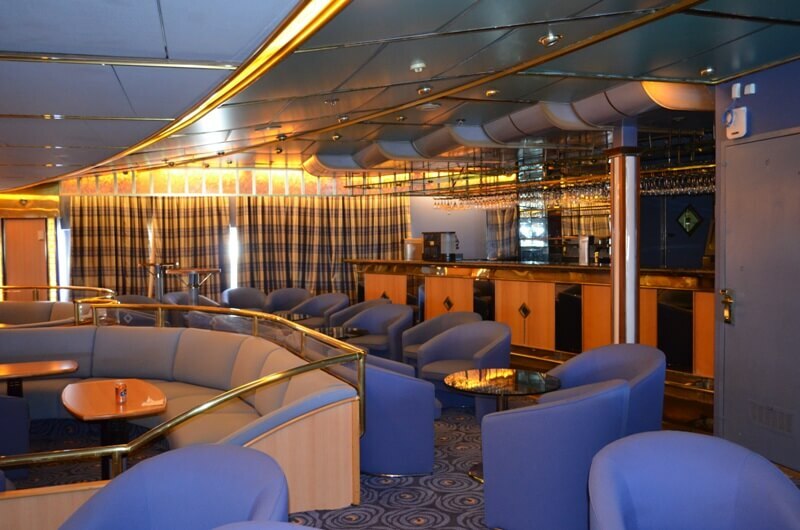 They too have had to learn and modify itineraries and tours to fit client demands, the realities of various ports and land operators. While the past two seasons have been very popular they have also been going through a learning experience that I am sure others will experience in the years to come. Today they feel they can offer a product that they and their clients will be proud of, that they can finally offer American incentive clients legally. The 7 night itinerary includes 6 Unesco World Heritage Sites and 4 National Parks and preserves. 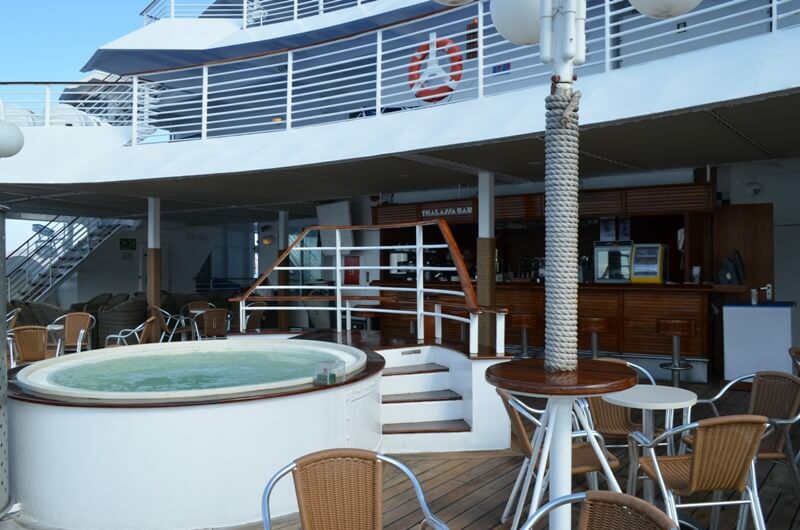 The cruises are Friday to Friday starting in Montego Bay departing at 8 pm. 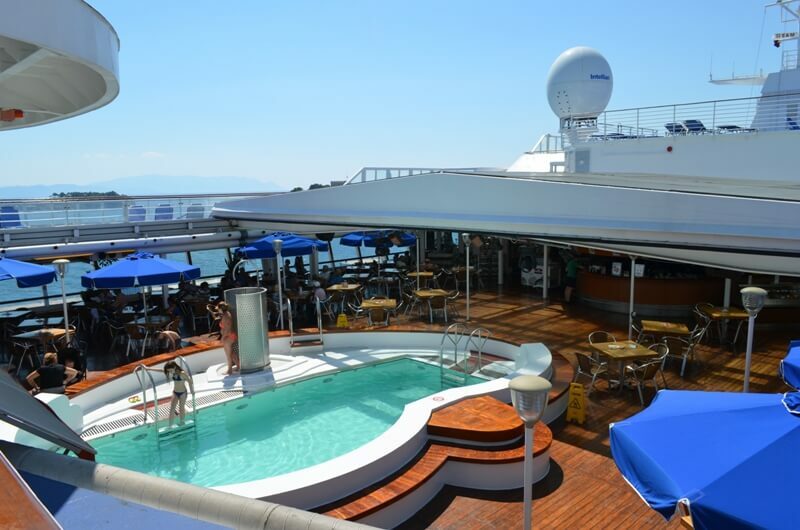 The itinerary includes 2 full days and overnight in Havana, the beaches of Maria La Gorda, Cienfuegos & Trinidad, Santiago de Cuba and a relaxing day at sea. 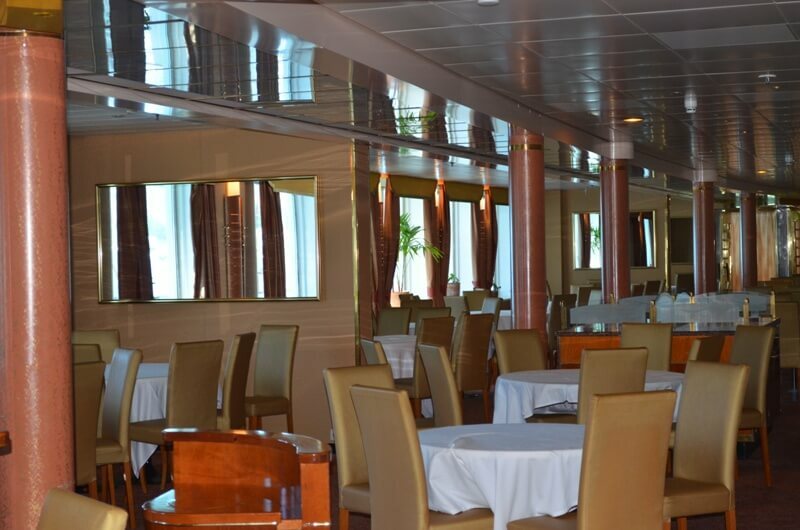 You will see the best of Cuba before many others in the comfort of a 4 star Cruise ship with all of the comfort and amenities your clients expect. 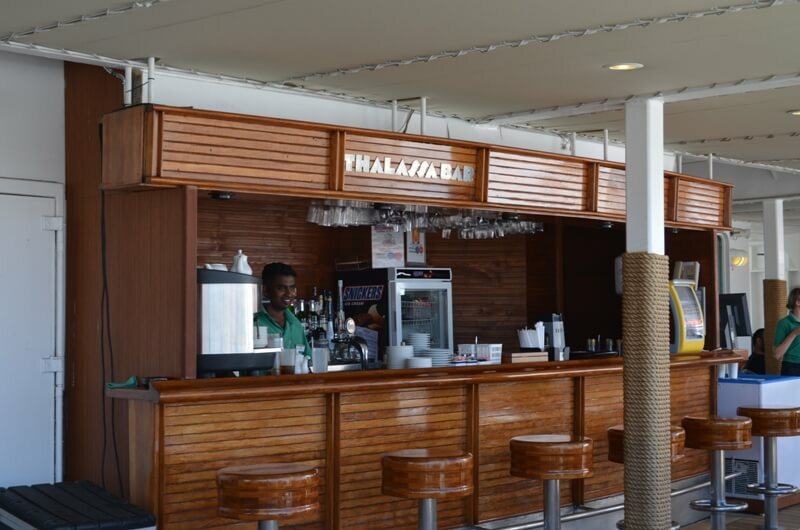 In Cuba this product becomes very inclusive including bar beverages and wines, and very importantly 4 land tours that are part of a people to people program to learn about Cuba and it’s culture. 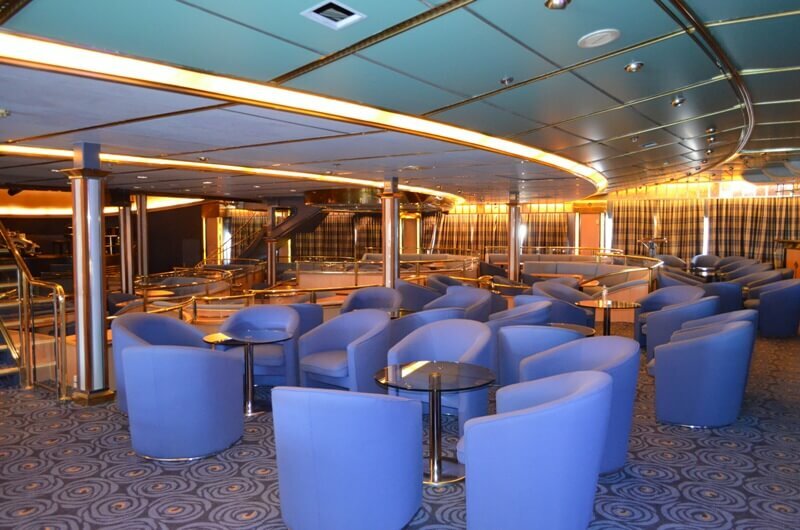 The onboard product changes with dining highlighting Cuban Cuisine, bar drinks featuring the Rums of Cuba and of course the night life of Havana. 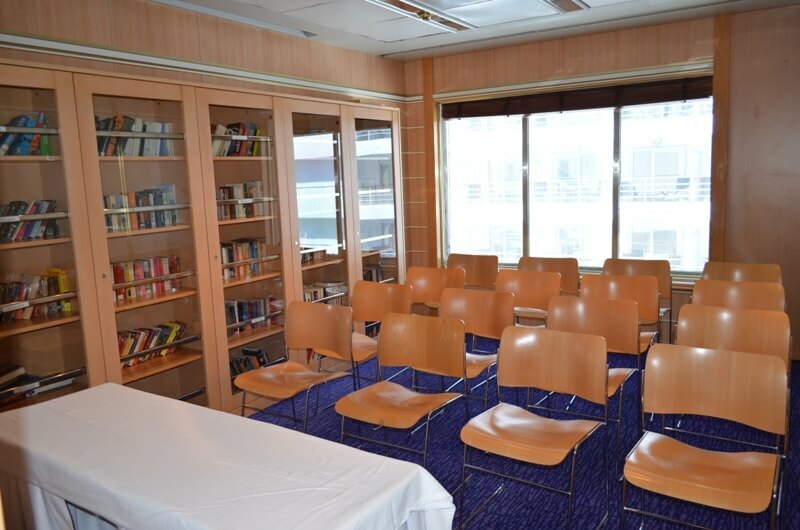 The ship will also feature lectures on Cuban history and culture as well as additional tours to purchase. 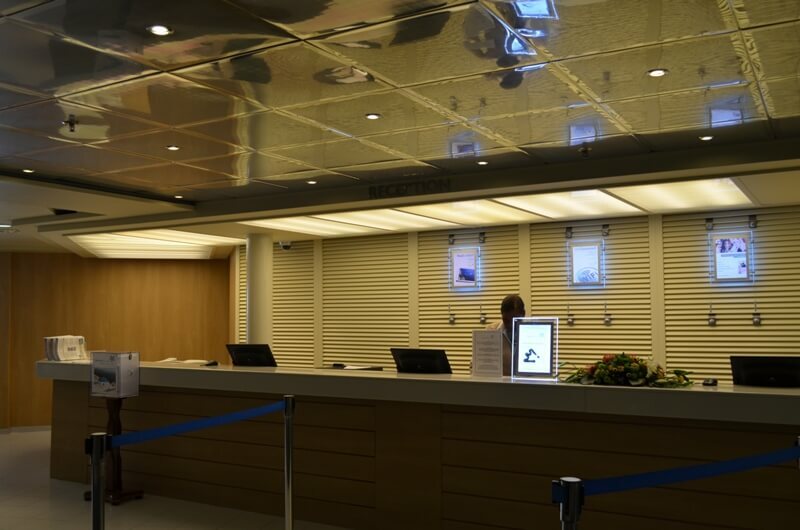 Your clients will receive a certificate at the end of the cruise stating that they/the tours etc have been in compliance with current US government regulations. This is a once in a life time opportunity to see past history and history in the making. 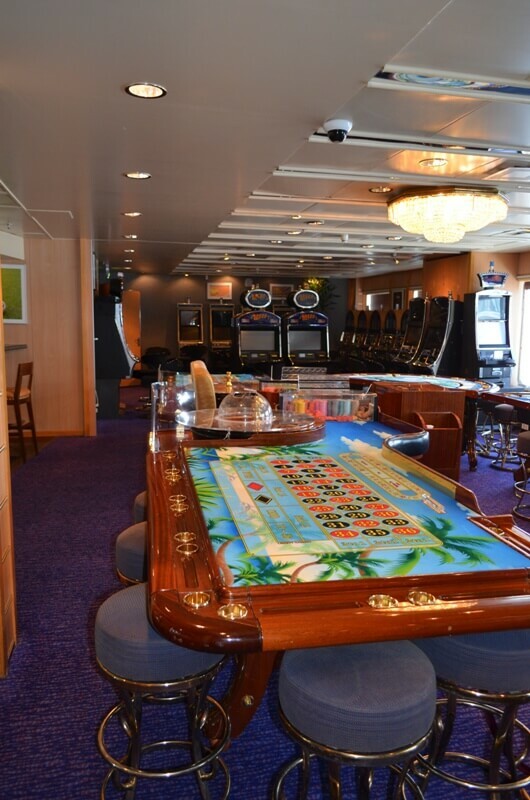 We are limited to 75 cabins per sailing, and charters are only available on a limited first come first serve basis in the 2016-17 season. 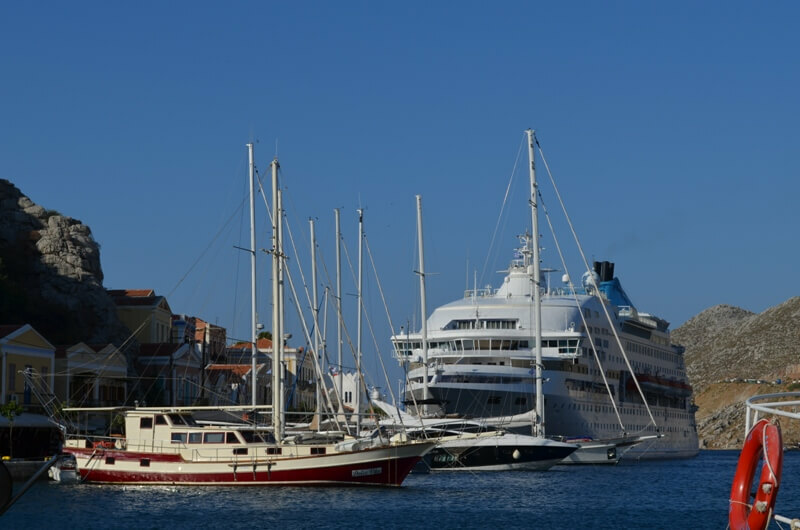 Owned by Louis Cruises founded in the early 1970s, today it operates a fleet of 3 ships and has several others on long term charters to companies like Thomson Tours. Has twice been the recipient of Conde Nast Travelers Choice Award. 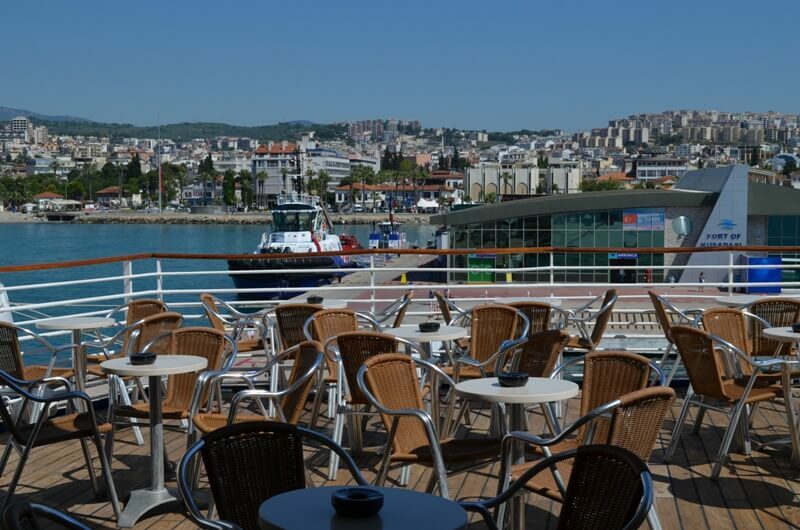 Louis Cruises is the 5th largest cruise line in the World and part of Louis PLC, a leading tourism and hotel group in the Eastern Med, founded in 1935 and traded on the Cyprus Stock Exchange since 1999. 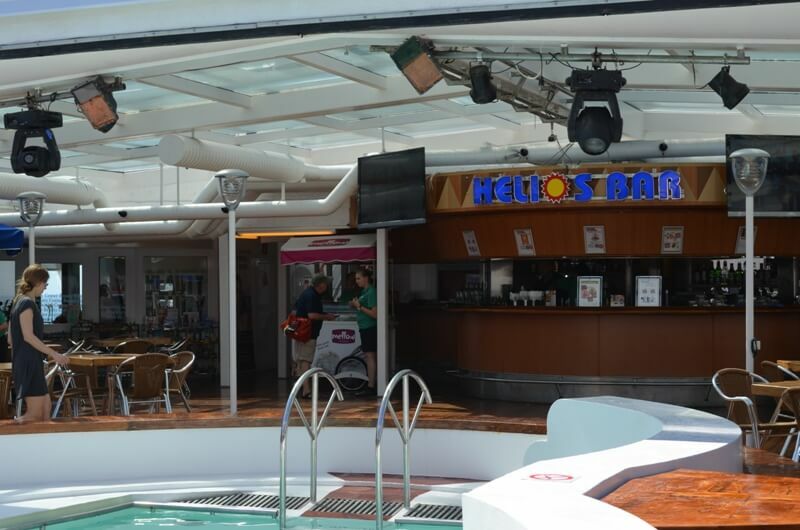 This report was prepared by Steve Bloss[954 452 8800 | sbloss@www.cruiseco.com] on June 15, 2015. The views expressed as solely those of the author and not necessarily those of WWTCA.